But if you choose to indulge in this eclectic collection, I can almost promise you that you will come across new and interesting insights from fields of inquiry that are certainly not political science mainstream or well-covered by conventional literature. And even though Rainer Eisfeld does not explicitly talk about ‘international development’ he actually presents quite a few things that are relevant in the context of regime (changes), history and the complex shades of grey that often get lost in dominant black and white narratives. The research and writings that were part of my undergraduate degree in political science in Germany were part of the canon that Eisfeld criticizes right from the beginning as ‘political studies (that) have largely been reduced to a functionalist science of “managing” parliamentary and party government’ (p.14). Understanding Eisfeld’s work as ‘radical’ also gives you a good insight into how traditional and conventional a lot of political science in Germany and many other parts of Europe has been. A paucity of normative theory-building (…); a need for a thematic focus, around which a major part of segmented research efforts in a number of countries might crystallize; and a comparatively informed, decidedly “regional stamp” of that focus, which might serve to strengthen cross-border cooperation of political scientists. (p.23). As all of his writing, the chapters are deeply embedded in historical reflections and insights into contemporary issues of political science turn into history lessons on the Cold War and efforts of left-leaning academics to engage with the ‘Eastern Bloc’ and foster exchanges of ideas and opportunities for professional relationships beyond seemingly impossible ideological differences. ‘Pluralism as a Critical Political Theory’ is a theoretical reflection, but the bibliography alone is worth the read as it provides plenty of critical resources from the 1960s to the 1980s on political science, arms trade and the political economy of trade during the Cold War. This is certainly not an unheard of dynamic in any international development ‘capacity-building’ effort and an essential part of, for example, the liberal peacebuilding debate: How local, quickly and fundamentally need a transformation from one regime to another, from ‘war’ to ‘peace’ be if there are very dominant power structures in place that can dictate change and have a clear vision of the ‘right’ path? The Soros Foundation, the European Union, American, German and Scandinavian agencies, foundations and university departments and the Bologna process were earlier identified as external factors pushing the region’s nascent political science disciplines toward a measure of convergence. However, the rise of “hybrid” political regimes has been operating as a countervailing force (…) (and) any proliferation of defectively democratic or competitively autocratic regimes will bode ill for the existence of independent political science in Central and Eastern Europe (p.104). As the discipline started to evolve in Weimar Germany, three different schools – a national, a functional and a democratic approach – emerged. When the curtain came down in 1933, these were to differ considerably in their degree of immunity to the antidemocratic temptation (p.106). 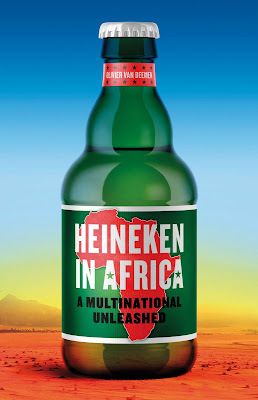 The chapter is a very powerful example of how historic narratives always deserve closer attention and thorough research and how reliance on a convenient truth, diaspora researchers and an uncritical believe in the positive transformative power of post-war societies where only the ‘good guys’ will have a voice will ultimately lead to an incomplete picture and protects those who collaborated or sympathized with undemocratic regimes. Identifying Mars as merely another “frontier”, projecting a morale purpose on the adaptation of that so-called planetary frontier to human settlers’ needs, tops a tradition of invoking a highly-problematic cultural stereotype (p.202). Portugal has been and is, economically as well as politically, a weak applicant. It will remain weak during the rest of the 1980s. (…) contrary to what is commonly said or even assumed, accession might make matters, by its impact, considerably worse for the country (p.238). 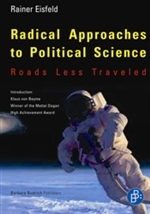 Radical Approaches to Political Science. Roads Less Traveled. Barbara Budrich Publishers, Farmington Hills, MI. Full disclosure: I received a free review copy from Barbara Budrich Publishers in June 2012.